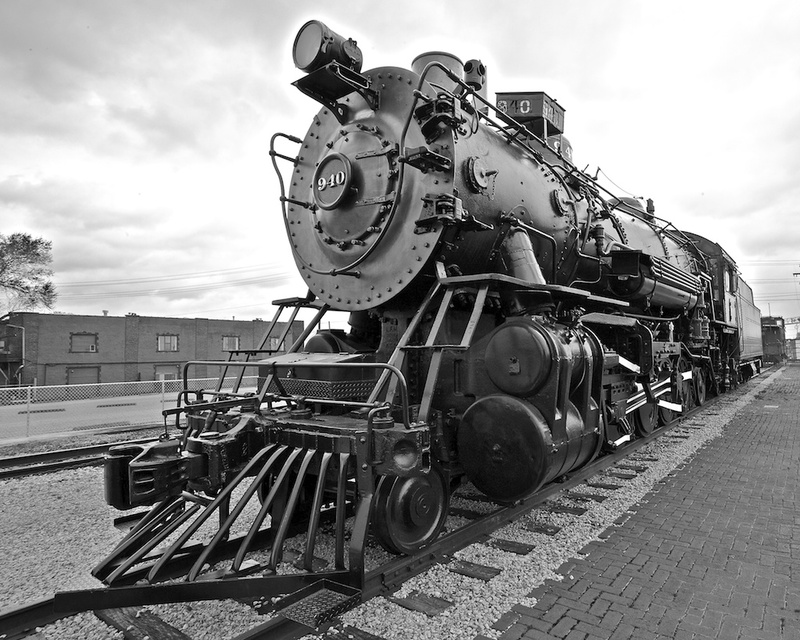 This old beauty was built in 1903 by the Baldwin Locomotive Works. Designated a class 900 engine, it was built for the Atchison, Topeka & Santa Fe Railway Company. There are only 4 or so surviving locomotives of this series, and this one is beautifully restored. Ol’ number 940 used oil as fuel, but it reminds me of the coal burner engine in the Christmas movie “The Polar Express”. I think it would look more awesome if you higher the contrast between white and black. Just a thought. Hi Frank! I was just browsing the internet and clicked on your wonderful photo! I hope you received the magazines we sent and thank you for allowing us to print your images. I hope you all are well, and we’ll talk to you again soon! Yes, I received the magazines. They look great… A nice publication.